Longtime Lakewood Fire Commissioner Juan Ortiz (pictured right) has died, his family and the Board of Fire Commissioners announced. Ortiz served as a longtime firefighter in Engine 4/Station 67, and Fire Commissioner in Lakewood. He resigned in 2015. He was 69. 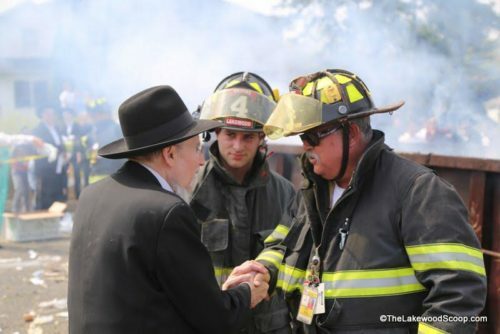 Ortiz always enjoyed helping out the Town during the burning of the Chometz, and was well-respected by the entire Lakewood Fire Department. 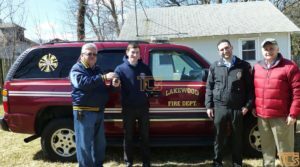 A Lakewood firefighter tells TLS he and many other firefighters would not be volunteering for the Department if not for Juan’s help an encouragement. 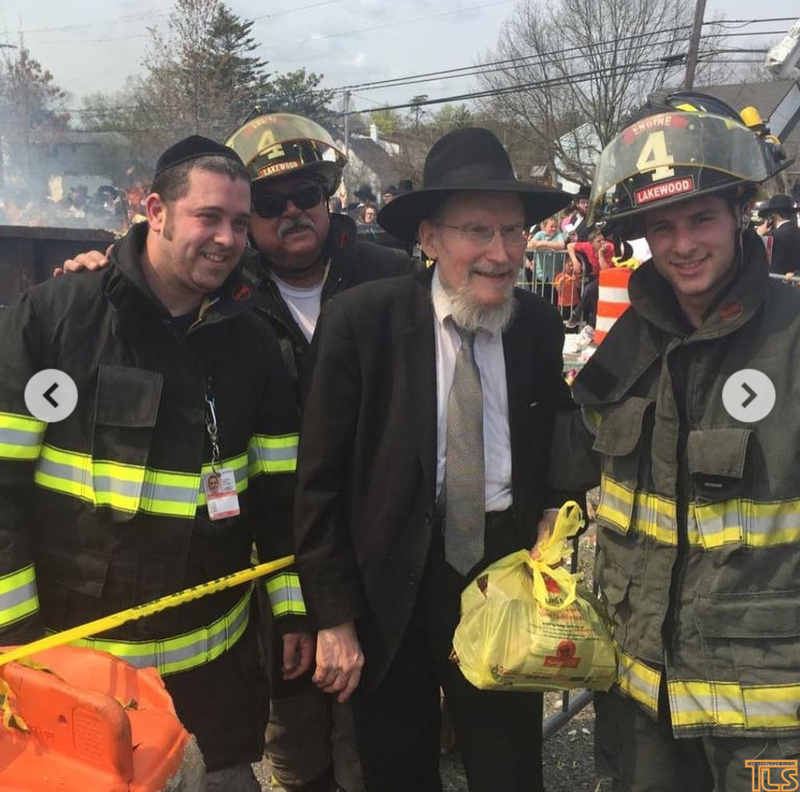 “He was always a happy person, always with a smile,” the firefighter said. Lakewood Emergency Services liaison says Juan was a dedicated public servant. “As a member of Reliance Hose Company No. 4 | Station 67, who was recruited and mentored by Juan, I would like to express my boundless appreciation and gratitude to Juan Ortiz. Juan joined the Lakewood Fire Department in 1991 and served as an active member until the time of his passing. Juan also served as a Fire Commissioner for approximately 12 years, stepping down from that position in 2015. Juan’s dedication and commitment to the Fire Department, and in particular to Station 67, was matched by his concern and caring for the well-being and continued growth of its members. On a personal level, Juan made me feel like an equal and a friend even though he was many times older than I. In fact, that is how he treated everyone he met. When interacting with the public, on multiple occasions I was witness to his obvious concern and willingness to help in any way he could. Juan gave his last ounce of energy to Station 67 and the Lakewood Fire Department and most certainly left it in a better place for all his involvement. Juan, thank you for all you have done for us! You will be sorely missed and forever in our memories! Funeral details will be posted when available. There are 9 Comments to "Longtime Lakewood Firefighter, Fire Commissioner Juan Ortiz dies"
Rest In Peace Juan! Thank you so much for everything! I will miss your encouragement, positivity and your smile! E4 will never be the same. RIP Juan – may your family be consoled by your heroism and good attitude always helping with a smile. We salute you Fire Commissioner Juan and your family. You will never be forgotten for your great job and serving the community amazingly. Rest easy Brother you taught me too many lessons to ever be forgotten and spoke words of wisdom for years as you watched me grow up from my childhood. You will be sorely missed but never forgotten. See you on the top floor and tell my dad I said hi and I love you when you see him. spread good cheer he was there dedicated to assist anyone in need.With his humble nature he appreciated his role and respected the many people he encountered. May his family find comfort at this difficult time and his many good deeds serve as a everlasting inspiration.